Celeste High School student body named the 2013 CHS Football Sweetheart & Mr. Football Nominees on September 16, 2013. Join us for the Celeste High School Homecoming game against Alba Golden. The game will begin at 7:30 at Blue Devil Stadium, and the Football Sweetheart & Mr. Football will be announced during half-time. 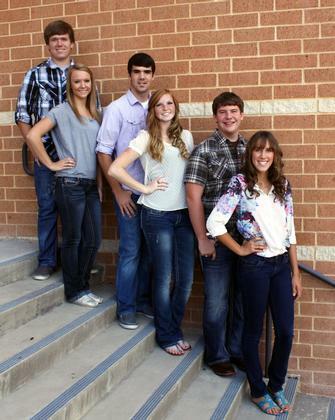 The nominees are Colton Smith, Cheyenne Shields, Austin Shatto, Kayla Evans, Austin Gilliam and Rachel Myers. Good luck to all!